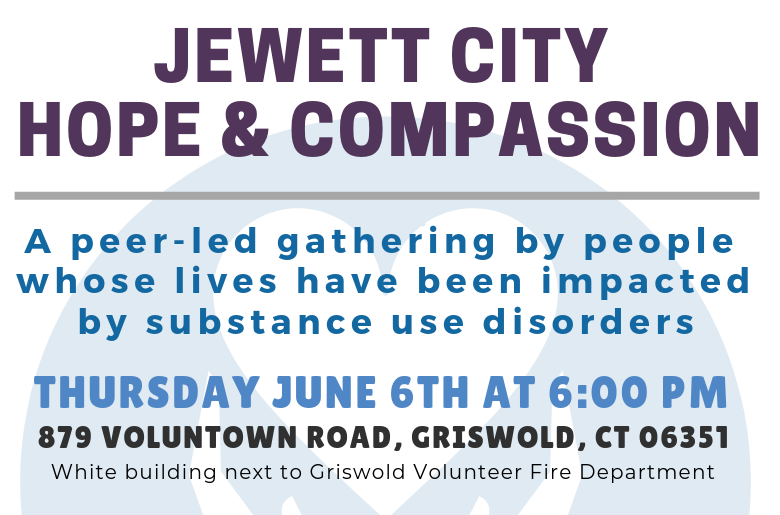 Join us for the Jewett City Hope & Compassion gathering on Thursday, June 6th, 2019 at 6:00 pm. The event will feature guest speakers and all are welcome to attend. This months speakers include Perception Programs Inc. and a personal experience shared by an individual in recovery. 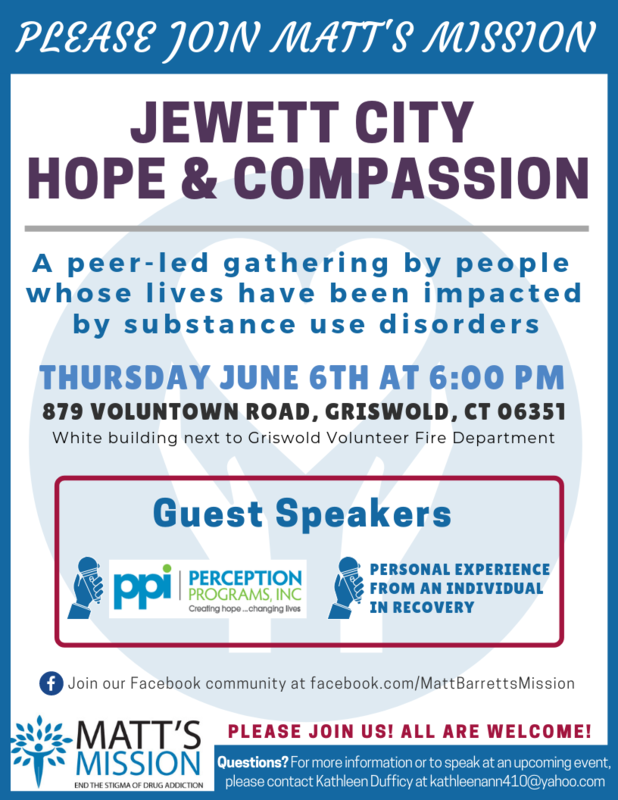 Jewett City Hope & Compassion is a peer-led gathering by people whose lives have been impacted by substance use disorders.